Minimally Invasive Outpatient Thyroid and Parathyroid Surgeries. 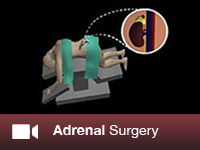 Minimally Invasive Laparoscopic Adrenal Surgery: lateral (laparoscopic from the abdomen) and posterior retroperitoneoscopic (laparoscopic from the back) adrenalectomy. Dr Shifrin is Board Certified, Fellowship Trained Endocrine Surgeon specializing only in surgery of parathyroid, thyroid and adrenal glands. He performs more than 400 minimally invasive thyroid and parathyroid surgeries a year, and more than 15 adrenal surgeries a year (including posterior laparoscopic approach). 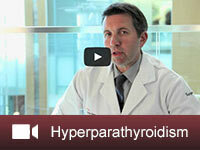 All parathyroid surgeries are performed as a minimally invasive surgeries. Dr Shifrin has about 95 -99% success rate in finding of parathyroid adenoma during the first procedure. He is an Elected Member of the American Association of Endocrine Surgeons, European Society of Endocrine Surgeons and International Association of Endocrine Surgeons. He is Board Certified in Endocrine Neck Ultrasound and Ultrasound Guided Thyroid Biopsy (ECNU) by American College of Endocrinology (ACE). 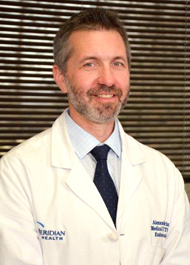 He was elected as a Vice President of the New Jersey Chapter of the American Association of Clinical Endocrinologists. 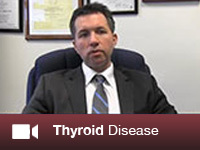 Our Center is Dedicated to Serve Patients with Thyroid, Parathyroid, and Adrenal Problems. Our Goal is to Provide Standard of Care and Evidence Based Medicine! Dr. Shifrin is part of the highly specialized team of physicians that helps patients like Katie. 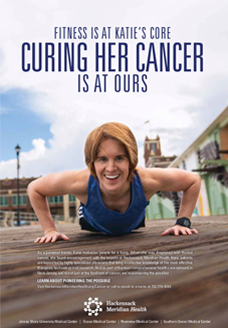 A personal trainer, Katie was diagnosed with thyroid cancer and found encouragement with the experts at Hackensack Meridian Health. Dr. Shifrin discusses the monthly support group from Jersey Shore University Medical Center that is dedicated to patients dealing with thyroid cancer. The group is open to anyone affected by the disease including thyroid cancer patients and survivors, along with their family and friends. It is the biggest thyroid cancer support group in New Jersey. Whether for work or leisure, Vince Higgins was always traveling but a thyroid cancer diagnosis grounded him. Vince shares his story of how Meridian Health and Dr. Shifrin helped him get back to health - now he is planning his next adventure. 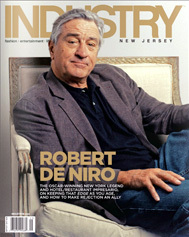 In the September / October 2015 issue of Industry New Jersey magazine, Meridian Health's Medical Director, Dr. Mark Krasna, talks about the multi-disciplinary, team-focused approach that is used to treat patients with cancer. 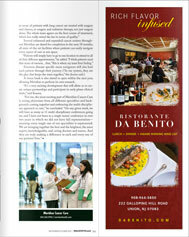 Please see below for the full article, which can be viewed on page 345. Majority of parathyroid and thyroid surgeries are performed as a same-day surgery. Minimally Invasive and Video-Assisted Parathyroid Surgery - small cosmetic incision that minimizes size of the scar to about 2 cm (less than an inch) with the same high cure rate. 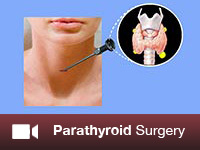 All parathyroid surgeries are performed with intra-operative parathyroid hormone monitoring. 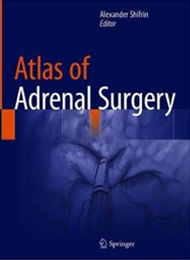 Posterior Retroperitoneoscopic Adrenalectomy - adrenal gland laparoscopic surgery from the back. It is truly minimally invasive approach with minimum scaring, minimum pain and quick recovery within 12-24 hr of the surgery. “Multiplatform Molecular Testing May Reduce Unnecessary Thyroidectomies (01/18/17)"
Meridian CancerCare View. July2015 “Recognition Spotlight. Alexander Shifrin, MD"
MEDPAGE TODAY Endocrinology 04.20.2015 medpagetoday.com “Genetic Classifier for Thyroid Nodule Launches" and reuters.com "PDI, Inc. Subsidiary Interpace Diagnostics Sets New Precedent with Launch of ThyraMIR™, First and Only MicroRNA Gene Expression Classifier for Thyroid Nodule Identification"